Use this inflatable wet or dry. 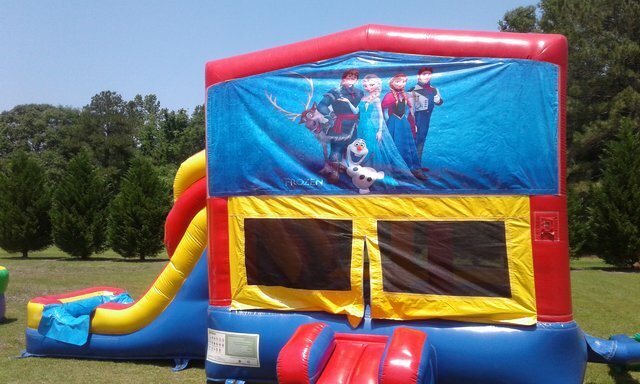 Bounce floor, basket ball hoop, slide and pop ups. Use with inerchangable themed art panels.